Thoroughbreds have been bred for centuries for their remarkable athleticism, intelligence, and heart. 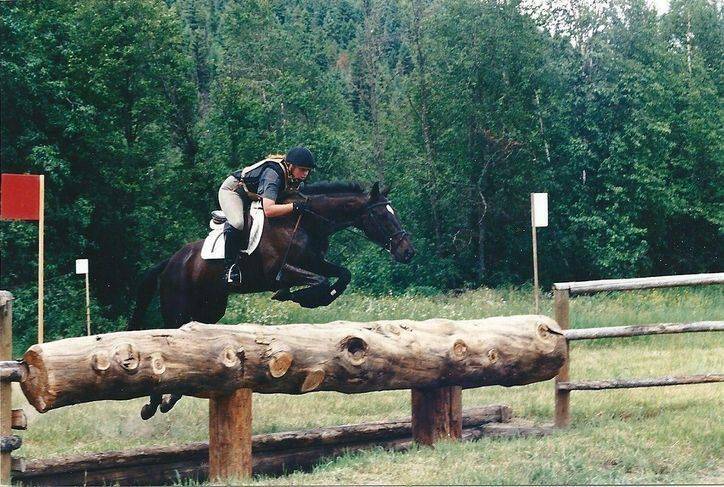 Though known by most people for their talent as racehorses, Thoroughbreds excel in eventing, dressage and hunter/jumper competitions as well. It is our passion to help thoroughbreds who have finished their careers on the track excel in one or more of these disciplines. Using contacts in the horse racing community Richland Sport Horses acquires OTTBs right from the track or farm and retrains them for their next career. All of our horses are allowed to be horses as much as possible. They are turned out in large pastures in small groups. When not getting ready to go to a competition, tare often dirty and happy". Having a solid foundation established before they are sold on to good homes is our main focus. Each horse is introduced to the competition world at his own pace and some of our horses are sold before they reach the competition ring. We offer our horses for sale with the goal of making sure that each horse is well matched with his new owner/rider and will be happy and successful for many years to come.